FLASH AND DRIVE With 700 students, David J. Malan’s computer science course is one of Harvard’s most popular. Why are so many nonmajors taking “Introduction to Computer Science” at Harvard or “Introductory Oceanography” at Cornell? 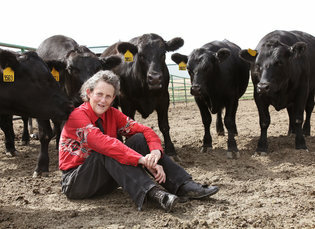 Why is Temple Grandin’s livestock course at Colorado State always filled, and not just with students at home on the range? 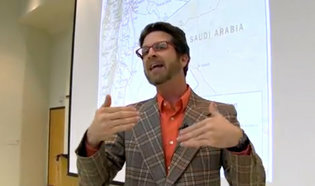 Some professors can make a subject sing, and their courses are not just a credit but an event. “I’ve wanted to take it since freshman year,” Rhyann Dozier, a Virginia Tech senior, said of “World Regions,” taught by John Boyer, whose high-octane style and throwback vibe channels Will Ferrell, turning lectures into performances. What’s exciting now is that even universities that prize academic research are putting more emphasis on teaching, says Matthew Kaplan, interim director for the Center for Research on Learning and Teaching at the University of Michigan. “There is pressure to have students engaged in their learning beyond ‘Come to the lecture, do the reading.’ ” He recalls that Michigan’s provost spent 55 minutes of a recent hourlong faculty meeting talking about teaching. The proliferation of online content means in-person courses must offer more than just another lecture “video.” Professors also face challenges in getting and keeping the attention of students raised on quick takes. Some weave in ways for students to use restless fingers and splintered focus; every few minutes during Prof. Perry Samson’s “Extreme Weather” lecture at the University of Michigan, students must respond to questions by phone or laptop. 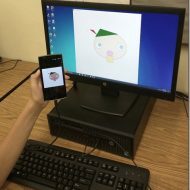 Others design courses with gaming features; students in “World Regions” pick which assignments will help them acquire the points needed for the grade they want. We looked around the nation for courses with buzz, according to campus newspapers, higher education experts and enrollment numbers. Students still file into lecture halls and classrooms, but once they’re seated, it’s clear that these courses are different. They mess with the old models. And they give students an experience that might change how they think, what they care about or even how they spend their lives. 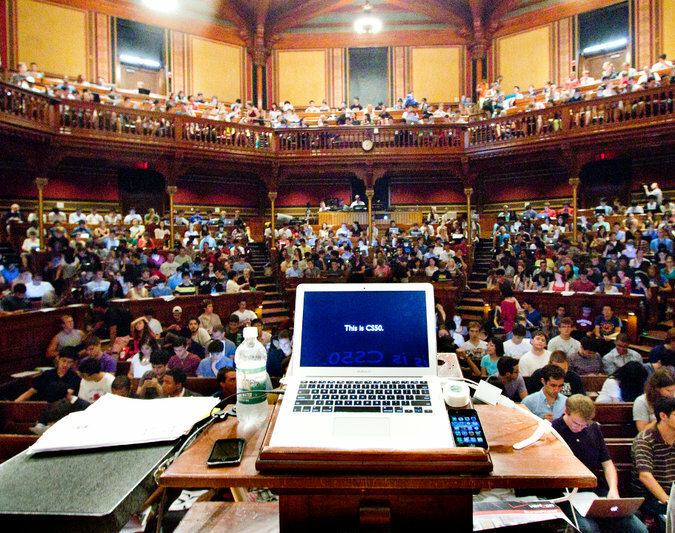 Class size: With 700 students, CS50 is nipping at the heels of Harvard’s biggest class, N. Gregory Mankiw’s Econ 10. Class experience: Dr. Malan says that he (and a staff of 102) “are really setting out to create not a course for students, but a college experience.” CS50 is popular as a massive open online course through edX, but the real action is on campus. An all-night hackathon is fueled by pizza at 9 p.m., Chinese food at 1 a.m. and pancakes at 5 a.m. Office hours, held in various dining halls, can attract 200. A fair to show off final projects, with cake and balloons, draws 2,200, including parents and busloads of curious high school students. There’s even an online store where you can buy CS50 apparel at cost to show off your course allegiance. Takeaway lesson: Dr. Malan, a 1999 Harvard graduate who wandered into CS50 as a sophomore government major, wants more students to get comfortable with computer science. Students pick a track — “less comfortable,” “more comfortable” or “somewhere in between” — and are graded only against their peers. Class experience: How did the world end up the way it is today? It’s a big question, but Dr. Wesch makes it tangible as students plan and play in aworld simulation. The 200-level class is broken into groups of indigenous peoples and colonizers. They get bins of limited supplies and must trade for other items to make weapons, following rules they devise in advance. Colonizers typically get blowgun-like tools to launch marshmallow-tipped straws while indigenous peoples may only use rubber bands. Jordan Thomas, who took the course in 2012 and is now a teaching assistant, felt the impact of being colonized and made to string marshmallows on rubber bands. When you get “taken over and are forced to sit around and assemble and manufacture a necklace for the entire hour, you engage in the emotions that come with that,” he says, adding that this was something he never would have gotten from a book. Takeaway lesson: In the first session, Dr. Wesch points out that if the whole world were the 200 people in the room, 38 would be from China, 35 from India and 9 from the United States. “Three of you would be dying, and six would be pregnant. The child born in the U.S. will have 10 times the chance of surviving until his fifth birthday.” There’s enough food for 2,500 calories a day per person, he said, but 30 suffer from hunger. There’s no easy explanation for this: That’s the lesson of the course. Class size: 800. The new classroom, Bailey Hall, seats 1,324; Dr. Monger wants to fill it. Class experience: There is no saltwater for 200 miles, but “Introductory Oceanography” has the largest enrollment at Cornell. 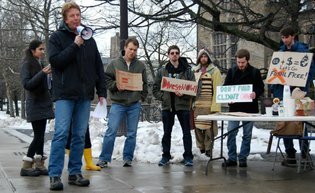 Dr. Monger, a charismatic one-time logger, focuses on marine science, but a third of the course is activism. Dr. Monger keeps a website for the course, itsmyocean.org (sample post: “Why you should avoid eating shrimp”), and a listserve of 1,700. “I want to stimulate these guys to raise their voices,” he says. “I tell them, ‘That ocean is as much yours as anybody else’s.’ ” The final assignment is to write Congress, though students are not required to mail the letters. Takeaway lesson: You will learn about tides, waves and microbial processes, but you will also delve into marine policy, global warming and the impact of human activities on coral reefs. Dr. Monger shares these “two things you should care about”: half of all photosynthesis on Earth occurs in the ocean — the work of algae producing the oxygen we all breathe. Related processes also consume carbon dioxide, with the oceans absorbing more than a quarter of all CO2 produced since the start of the Industrial Revolution. Professor: C. Kenneth Keffer Jr.
Class experience: Wear comfortable shoes because this environmental studies class covers serious mileage. Walks take several hours and typically cover 15 to 25 miles. Readings include philosophers like Martin Heidegger and are discussed during nonwalk days. Dr. Keffer, who began teaching the course in 2002, has offered it on campus in Danville, Ky., and as part ofCentre’s study abroad program. Class experience: Having real money, and a deadline for giving it away, lets students feel both the power and the challenge of charitable donations. Since 2011, the Once Upon a Time Foundation has provided some $2.5 million for hands-on learning at 13 campuses, including the University of Virginia and Princeton. Fueling the trend, Warren Buffett’s sister Doris began an online course last year through her Sunshine Lady Foundation in which participants give away $100,000. At Princeton, Dr. Katz’s freshman seminar is as much about learning to reach a consensus with 14 others as it is about tackling big questions. “Some of the disagreements are quite profound,” says Dr. Katz, whose students research charities and must persuade classmates to align with them. “Some students feel it makes no sense to give a gift in the United States,” while others find value only in “giving gifts close to home.” Last fall’s class had $25,000 to give away. At Virginia, most of the $50,000 that students are awarding this semester must go to Charlottesville-area organizations tackling housing, food or health care access. In December, Dr. Martin solicited proposals from local nonprofits, which students learn to evaluate; they also make site visits to meet organization leaders. Class size: This class has grown from 40 to 165 in the past five years; Angell Hall seats only 110. “That is why the class is broadcast,” says Dr. Samson. Log in and participate from your dorm. Class experience: Be glad you are safely indoors. 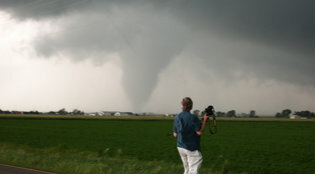 Dr. Samson, who takes upper-level students to chase tornadoes, brings the drama of meteorology to this introductory course. “I have some hair-raising videos taken by students on the chase,” he says, plus stories (his car was bounced across a highway when he got too close to an F4 tornado). Students bring laptops to class and log into a class platform Dr. Samson created. They analyze data from the field and answer questions like: Where on this weather map would you expect wind speeds to be highest? Point and click. Got a dumb question? Type away — it’s anonymous — and Dr. Samson will post the answer. Confused? Press a designated button. If enough do, he’ll stop and explain. Oh, and all exams are “open book, open computer, call a friend.” In life, says Dr. Samson, rarely will you be asked a question about science that you can’t look up. Takeaway lesson: Which 95-degree air is heavier: Phoenix’s, with 15 percent humidity, or New Orleans’s, with 85 percent humidity? “Most people choose New Orleans,” Dr. Samson says. “The correct answer is Phoenix.” Air is composed primarily of nitrogen and oxygen so although humid air feels heavier, H2O weighs less than the nitrogen or oxygen it’s displacing. How does this matter to weather? When dry air comes out of Arizona or Texas and meets moist air from Louisiana and the Gulf, the hot dry air pushes the moist air up and creates a “dry line” that can create super-cell thunderstorms. “Those are the types of thunderstorms that will produce tornadoes in the Great Plains,” he says. Class experience: Mr. Boyer favors ‘70s-style plaids (his nom de professor: Plaid Avenger) and student-friendly lingo (“Man oh man oh man, dudes and dudettes, we are living through some historic times right now!”). And he doesn’t just teach, he performs. Mr. Boyer wants students to “get excited about the world” and lets them choose how they engage. 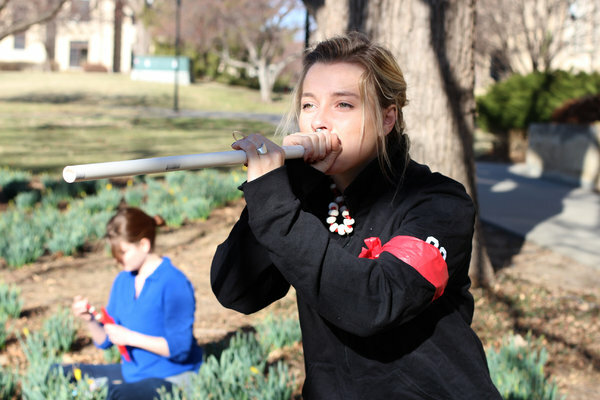 Students participate through Twitter, in-class smartphone surveys and old-fashioned microphones. They earn a course grade by doing assignments with point values; collect 1,100 points for an A, 1,000 will get you a B. They also decide what class will cover (this spring, it’s the Middle East, Russia and China), and Skype with international figures. When he put up a map to talk about Egypt and the Arab Spring, someone said, “How come Jordan doesn’t have anything going on?” His reply: “Maybe we should ask someone from Jordan.” Less than six hours after a YouTube appeal to King Abdullah II of Jordan, the king’s office responded. HELLO, JORDAN John Boyer’s video appeal to King Abdullah II. Takeaway lesson: Think of geography as physical and cultural attributes of a country, from vegetation and terrain to language and religion, that influence current events. The unrest in Ukraine, Mr. Boyer says, has been a decades-long battle over which neighbor to align with: Russia or Europe. Check out maps showing linguistic, ethnic and voting distributions and you’ll see a sharp east (pro-Russian) versus west (pro-European) divide. Seeds of the current conflict were sewn during the 2004 election when the pro-Russian Viktor Yanukovych defeated the pro-European Viktor Yushchenko. The election was believed corrupted by voter fraud, spurring protests and a redo that resulted in a victory for Mr. Yushchenko, but in 2010 Mr. Yanukovych won. “Geography affects everything,” Mr. Boyer says. Takeaway lesson: Spotting how cattle react to surroundings will help you work better with any animal. Cattle don’t like shiny surfaces, so light reflecting on a wet floor upsets them; so do sun spots and shadows. “A white line on a highway will stop a lot of cattle,” says Dr. Grandin, a pioneer in designing more humane slaughterhouses. Cattle like to return whence they came, so curved chutes that make them feel they are traveling in a circle make sense. You’ll learn that cattle in a crowded pen must see two body lengths ahead or they won’t budge. This lesson might apply to humans. “New things are attractive to an animal if they are allowed to approach,” she says. “If you shove them into it,” expect them to rebel. 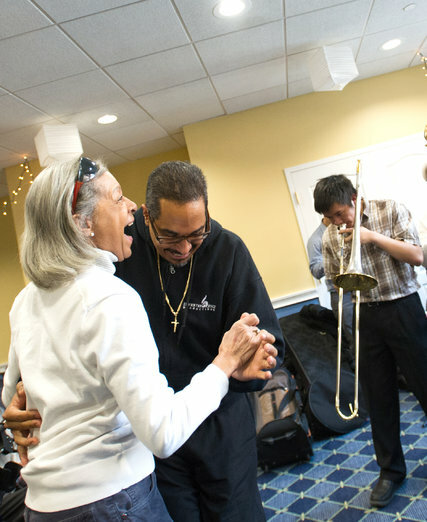 Class experience: Be ready to listen differently because Mr. Pérez, a Panamanian pianist and composer, pushes students to find musical ideas in unconventional places: at state correctional facilities, retirement homes and Boston-area museums. “The more stories a student has, the more ideas to write music that goes beyond the normal boundaries,” says Mr. Pérez, who wants students “to make a positive impact on the world,” not just win a Grammy. A student belted out “The Phantom of the Opera” on a public bus; another struck up conversations with strangers in San Francisco. Ricardo Flores, a self-described introvert, challenged himself to run for dorm co-president and, though filled with anxiety, give a campaign speech. He spoke, and won the election. For his next task, Mr. Flores is honing his salsa skills in hopes of performing with Los Salseros de Stanford. Takeaway lesson: Dr. Dweck’s research shows that mind-set is critical at times of transition. Some people have a “fixed mind-set” and believe that qualities like intelligence and personality are set. “So when you struggle or face a setback it means, ‘Hey, you just don’t have it,’ ” she explains. Those with a “growth mind-set” see that struggles can be overcome with effort, strategy and good instruction. Freshmen can recognize and counter the fixed mind-sets that kick in as they arrive on campus and are surrounded by supremely talented peers. 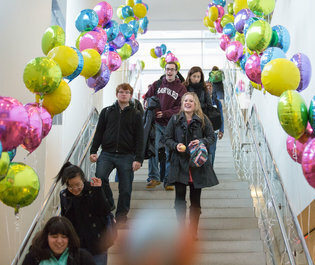 “I thought it was the perfect moment for them to understand these ideas,” Dr. Dweck says.